YOLO club It's a new and mad place, for all the youngsters and more people. It has a great environment with the best colors and music. 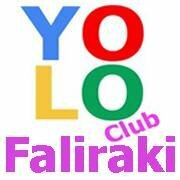 It's going to be the first choice for those who like to have a mad evening in Faliraki.